In keeping with our tradition of high performance at low cost, OSLS has designed a complete line of laser hardware and laser light show equipment. These products have been painstakingly redesigned from the mainstays of the industry, adding innovative new features while reducing the cost. 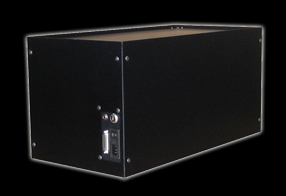 All parts are highest quality black anodized rigid aluminum. Two versions available with connections on the side or on the end please specify which type when placing your order. Uncertified export. 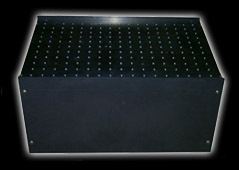 Optional rail available for mounting external ion type lasers.